God blesses you who are hungry now, for you will be satisfied. What blessings await you when people hate you and exclude you and mock you and curse you as evil because you follow the Son of Man. When that happens, be happy! Yes, leap for joy! For a great reward awaits you in heaven. And remember, their ancestors treated the ancient prophets that same way. LUKE 6:17-23—ESSENTIAL QUESTION: IS THIS ALL THERE IS? In this short burst—a shotgun blast, really—of eternal truths, Jesus hits the reset button on our conventional expectations for success in life. In these rhythmic verses, he highlights qualities and characteristics that have little currency in our current world, but are priceless in the “Kingdom of God” (or “Kingdom of Heaven” in Matthew’s version of the Sermon on the Mount). Here on earth, people who have strength of spirit often horde the treasure—but people who are poor in spirit gain the eternal treasure of the kingdom of heaven. The same is true for mourners and the gentle and the desperate-for-justice and the merciful and the pure and the peacemakers and the persecuted. Be happy about it, says Jesus, because there is a real place (his “hometown”) where all of these denigrated characteristics are treated like the priceless treasures they are. No, the standards we’ve been taught to respect—the values that human beings most often reward—are often not the values that God rewards. This isn’t all there is, and we can live in that reality right now. Gracious God, I need the encouragement of Lent right now. It is so easy for my life to become full of everything except you. My concentration can be scattered, my attentiveness to your Spirit dampened. So, I am grateful for a Christian tradition that interrupts my status quo and calls me back to you. Thank you. I do not want this season to be a time of going through the motions, let alone a time for legalism that draws my heart away from you. May the things I do and the things I refrain from doing be channels of attention and grace. May they help me to focus on you, opening my heart to all that you would do in me. Above all, may I draw near to you in these days. To be sure, I should do this all the time. I know that. But something about setting aside a special season helps me to remember you and to approach you. 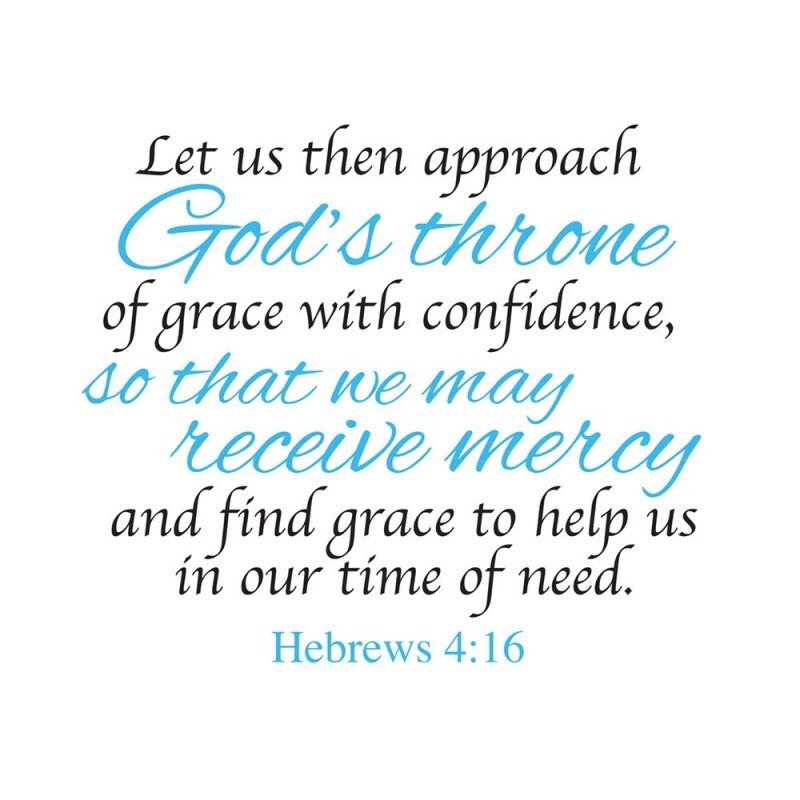 How grateful I am for the invitation to come before you and for your promise of mercy and grace! All praise be to you, O God, through Jesus Christ, our Lord. Amen. This entry was posted on February 15, 2018 at 6:09 am and is filed under One Walk. You can follow any responses to this entry through the RSS 2.0 feed. You can leave a response, or trackback from your own site.